The Inventory Retail total is wrong - how do I fix it? There could several factors causing the Inventory Retail value to show incorrectly on the Inventory Planner dashboard. 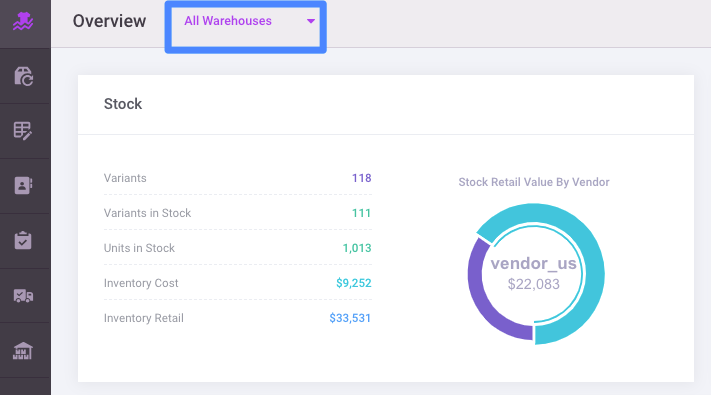 First, make sure you have selected either the individual or all warehouses to be sure you're comparing data with the same parameters as your source data. Check the settings for products in your store (within your connected platform). One field to check is if the inventory is tracked. If you have drop-shipped items, you do not need to track inventory in your store. Another cause of overstated Inventory Retail value could be that two connected sales channels could be communicating the same information. For example, say you sell on Shopify and Amazon, then use TradeGecko to manage orders and fulfillment. You would only need to connect TradeGecko to Inventory Planner. 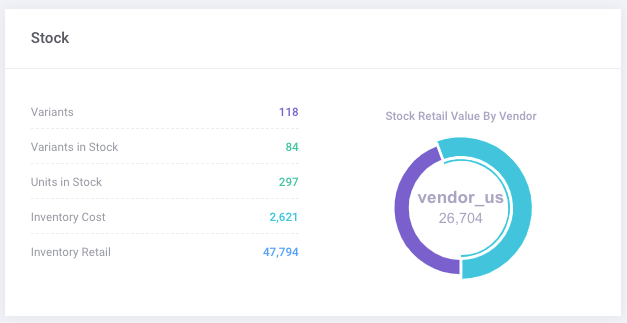 If you also connected Magento and/or Amazon, your stock would be counted twice. Check your connection settings in Account > Settings.